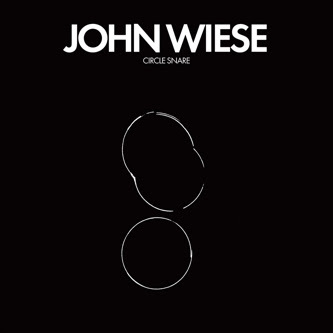 Ill With The Composition: ILL ALUMINUM TUNES: John Wiese's "Circle Snare"
That John Wiese and his sample fetish, right? You know? The California-based noise laptopper's last couple - or couple dozen, same difference - recordings have involved warpings and manglings, severe and and less so, of others' already malign sonics. Cincinatti, conceived and recorded with Burning Star Core atmospherist C. Spencer Yeh and released earlier this year, delved into self-sampling-as-aesthetic. But Circle Snare (No Fun), where Wiese built compositions from recordings of "tape, electronics, drum machine, microphone, [and] MSP" is a more slippery, stripped-down affair. At moments, listening to this, I thought of the sounds of a metal lid being twisted off of a peanut bottle, then back on, then back off, and of barehanded mountain climbers painstakingly ascending, slipping down, then scrabbling back up sheer cliff faces; there's a brute circularity to Snare at first, to how and where snaps, crackles, and stark pops fall in the mix as "Circle Snare (First)" begins its uncertain-to-all-outward-appearances advance. Noise "errors" and detritus that would typically be edited out or relegated to the margins is slowly brought to the forefront over a glowering synth substrata. Then the spits and clicks and whirrs actually seem to go on the attack, a revolving, homicidal constellation of minutiae. The remainder of Snare mines more chaos-theory gold from this idea, approaching things slightly different, no-less-intriguing angles, building from meager table scraps to something that eats, ultimately, like a hearty meal.